Fancy a swim, a nap by the pool or a drink on the terrace? Then a good night's sleep in a nice room with a comfortable bed? If so, the ibis Montelimar Nord hotel is the place for you! 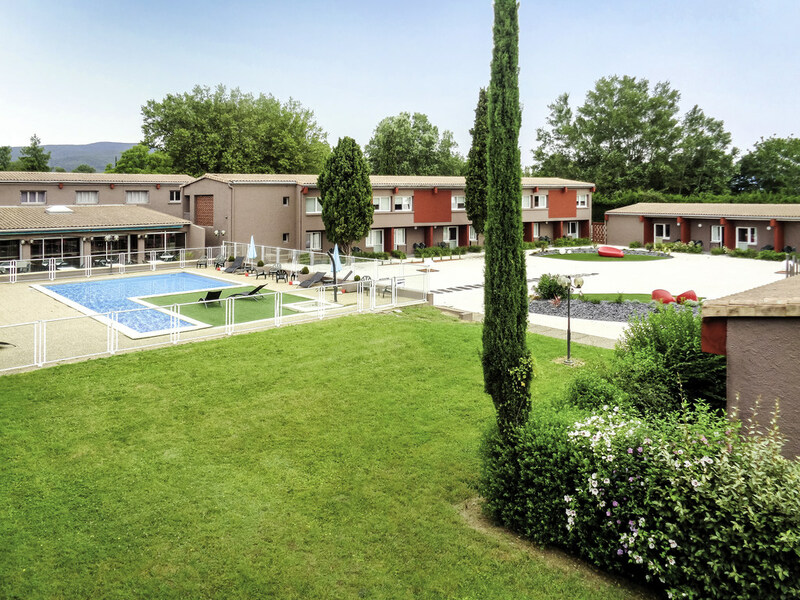 The ibis Montélimar Nord hotel is located close to the Ardèche gorges in the heart of the Drôme Provençale. It is 5 minutes away from the A7 highway (exit 17). The hotel offers 29 Double Rooms, 22 Superior Triple Rooms with terraces, and 8 Family Rooms, a ll air conditioned, a restaurant, bar, 24-hour snacks, a pool with solarium, a terrace, 3 meeting rooms, and a free enclosed private car park. There are tennis courts and a golf course 10 minutes away. A little taster of the great south at the gateway to Provence. Visitor attractions include the village of Mirmande in Drôme and the crocodile farm in Pierrelatte. Le Patio restaurant is located 5 minutes from highway A7, close to the Gorges of the Ardèche in the heart of the Drôme Provençale region. It boasts a room for up to 120 people, swimming pool, terrace and free enclosed car park.